I love life, adventure and being active and I love to see the beautiful places this world has for us. Which is why Tuesday's are Travel Tuesdays on my blog. Each week I showcase a different fun adventure to take, incredible place to see or do. You can view all my previous travel posts HERE. 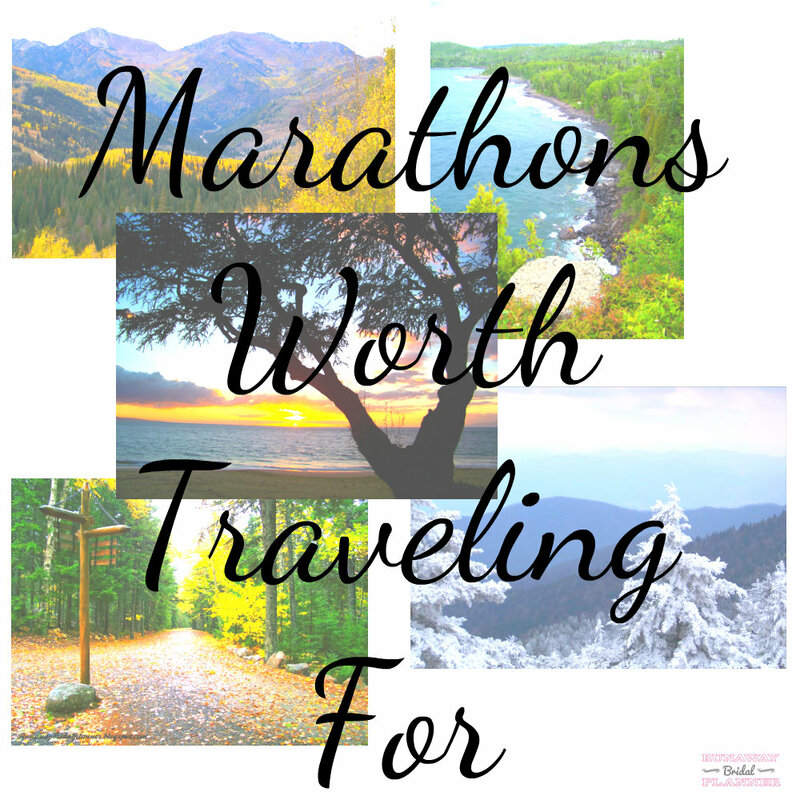 This year I am running a new series on Marathon's that are definitely worth traveling for, once or twice each month I will introduce you to a new fun destination race. Today is the 2nd post in this series that I plan on continuing throughout 2016. 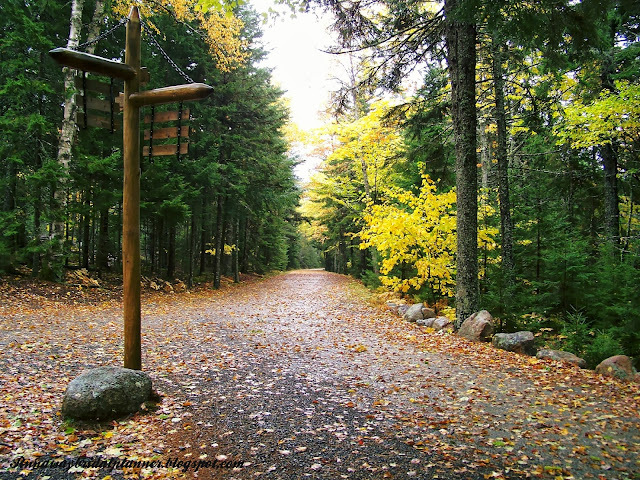 This week, I'd like to introduce to you a smaller marathon located in Bar Harbor Maine. 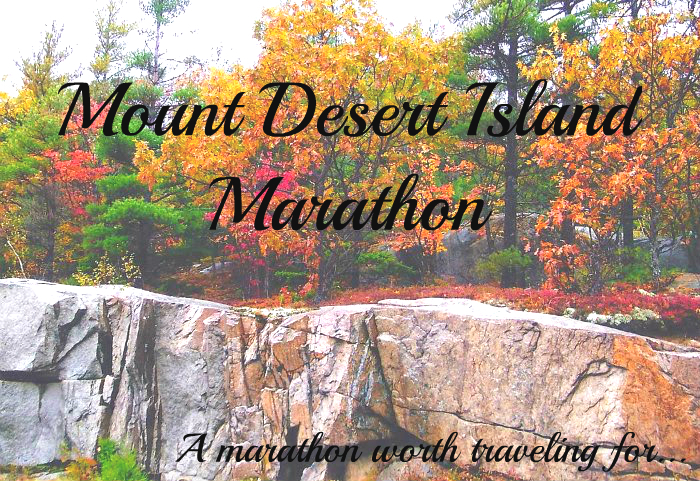 Mount Desert Island Marathon, this one was actually one of the first races I ran when I started my 50 states goal. It is such an incredible marathon, with stunning fall scenery. I have so many great things I can say about this race and the location. So let's just get right to it. * Small town race. You're on an island after all! They really come out with the organization and race support, it's one of the best run small town races I have done. 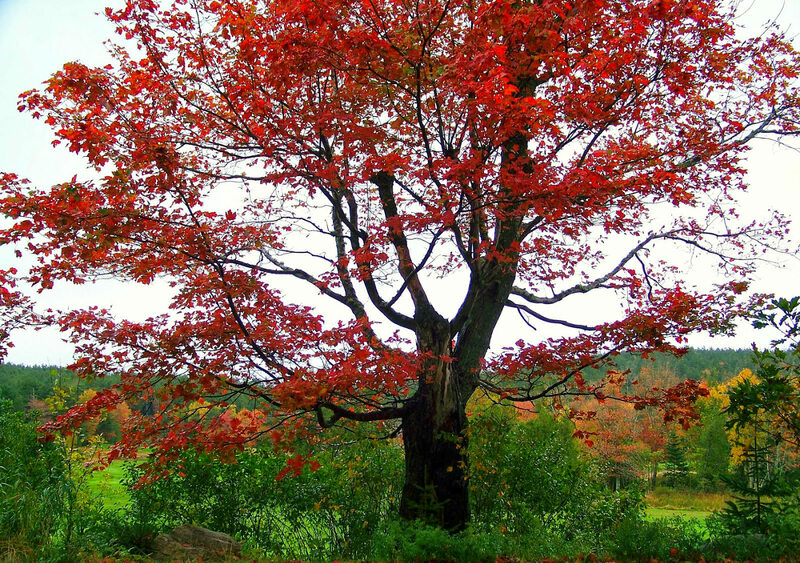 * It's New England in the fall, the colors on the tree's. Bright yellows, blood reds, coral oranges and the shades between them. Throw the brilliant colors up against the tall dark green pine tree's and it will literally take your breath away. * Fabulous coastal views, it's not just beautiful foliage you will get to see. 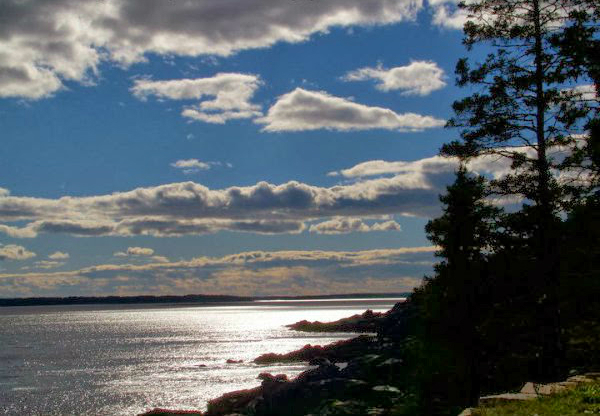 You'll be running right along the Somes Sound, which is the only fjord on the east coast. * This race is in October, which means cooler temps to run in. Cooler temps, generally for most mean faster times! 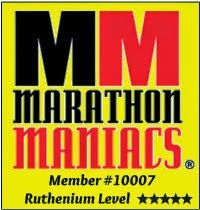 * Runners World named it one of the most scenic marathons and best overall marathons. I really have to agree with them on this choice, its gorgeous each and every one of the 26.2 miles! 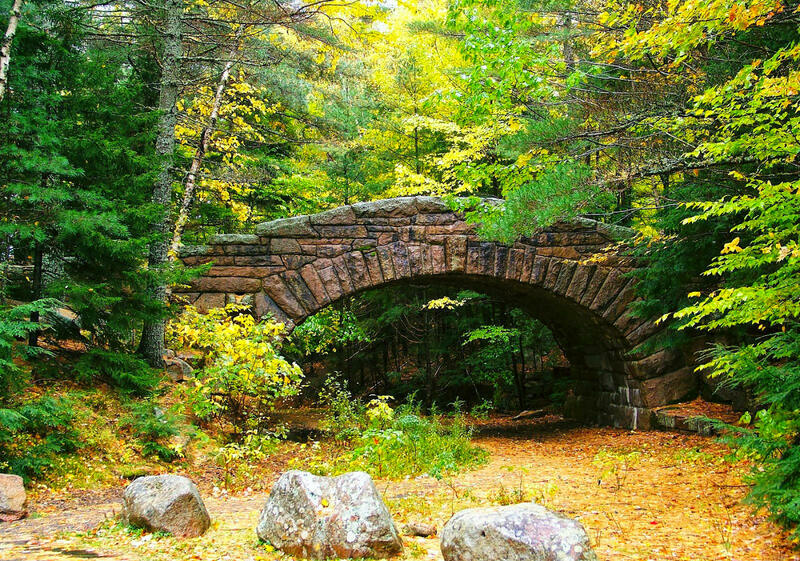 * You are on the same island as Acadia National Park which is absolutely amazing with all that fall foliage that time of year. There are so many beautiful places to drive around and see. Not to mention you can hike up to Cadillac Mountain, the first place in America that the sun touches each day. You'll definitely want to spend a few extra days in the area! * Need more to do after the race? 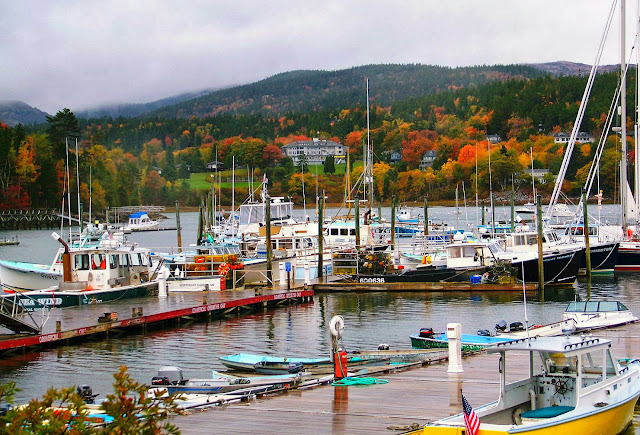 How about whale watching, fresh lobster dinners, scenic drives. Or just take one of the tour boats and go out and see the island from a different perspective. Or go out for a walk on one of the old historic carriage roads. * It's challenging and hilly. Let's face it, many runners especially marathon runners enjoy a challenging course. 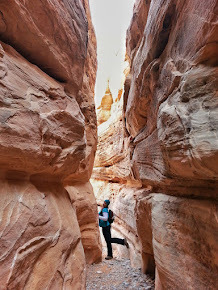 Runners train hard for a marathon, they enjoy pushing themselves over different terrains. But if you're like me, you may not even even notice the hills much, because your mind is on the scenery around you instead. * The course itself takes you everywhere from starting in a small town. Through the mountains, forests, into historic neighborhoods and area's, along the coast and then finishing up again in yet another small town. You'll literally never get bored from the sights! Those are just a few of my reasons why I have selected this Marathon as one worth traveling for! But trust me there are many, many more. But to find those out, you'll just have to run it yourself! Enjoy what you just read, want to see more? Love travel pics, then you definitely want to follow me via my Instagram Here. Or add my blog to your blog feed and keep up with me weekly! So tell me, have you run this marathon before? If you have, what was your favorite thing about this race? Or is this possibly one on your race bucket list? The pictures from this marathon remind me of my favorite place, Door County Wisconsin. They have a beautiful half marathon in the spring that I've run. It's hilly and very scenic there. I'd love to do this one! Wow I have never been to Maine! I can't believe it. 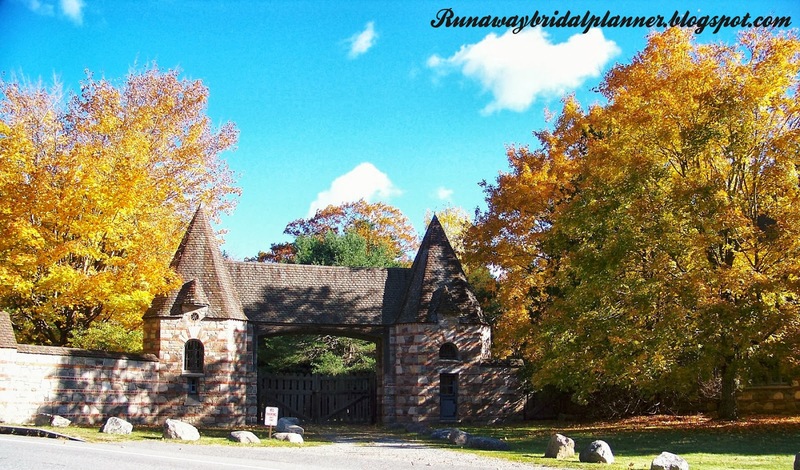 It is so gorgeous in New England in the fall I would love to run with all of those beautiful trees.Nice to know they have a half option as well. Wow, that's gorgeous! I do miss seeing all the fall colors in New England, and sometimes we'd just get in the car and drive around in the fall. It's one thing I miss about fall in dallas. If we do get leaves changing colors, it's late, and it's not as vibrant. Gorgeous photos! My favorite half is a small town race too. Races like this are pretty special and beat the big ones in my book. That race sounds absolutely beautiful, and your pictures are gorgeous! Whale watching sounds really cool too! I'll have to add this one to my bucket list. Tuesday travels is such a good idea! I'm always looking for somewhere to go! I'm starting to love smaller races! And if you're going to run that far, it might as well be scenic, right? Looks like a beautiful course! The 1/2 marathon worth traveling for - for me - was Napa to Sonoma. Beautiful scenery and LOTS of wine!! I do love the smaller races! That looks like a beautiful course! I talked the hubby into ZOOMA Cape Cod this year, I am so excited to see this part of the country, it has been on my bucket list for quite a while now! Love all your pictures! Hey - what a fun series! :) I love Bar Harbor but hadn't ever thought about traveling there for a race. While I'm nowhere near even thinking about running a full marathon I may be interested in the half distance this fall and will definitely look into this one! I love that you have a goal of running in all 50 states! I'm putting this one on my list! It looks idyllic. And at that time of year, the weather should be perfect. I enjoy smaller races and those with beautiful scenery, or even just a route through the woods. All the "downtowns" start to look the same, you know? I hope you will soon get back to your 50 state goal. You've been so patient! Thanks for the hop. It is always fun to meet new bloggers. such beautiful pics!!!!! Yes, I need to add this to my (ever increasing) bucket list! I'm intrigued by the course...the hills, and all the woodlands, as well as the coast. This is such a great series, Kristy - I loved your first recap of the St. George Marathon so much that I sent it to a few friends and told them we have to add it to the bucket list! Today's featured race also looks great and so incredibly scenic. I think you're right - a challenging course might seem a bit less challenging when you're enjoying the views so much! This definitely looks like one I should keep in mind. I adore Bar Harbor. So gorgeous there! Oh my gosh those pics are beautiful! I've never been to Maine, but this race would be a wonderful reason to visit! Wow, what gorgeous pictures from Maine! I've never been to Maine, but would love an excuse to travel there someday. I have a friend who swears by spending her summers in Maine, and between her pictures and yours I can see why she loves to spend so much time there. I mean look at those pictures!!! I don't even run Marathons but I would totally just to run here!!! I mean geez...louise!....ooooh and I could get fresh lobster too!!! Gorgeous pics (not surprised from what I have seen here before though!)!! One of my friends ran this in 2015 and it looked so wonderful! I have never been to Maine, but I do love the North East in the fall! BEAUTIFUL!!! Wow - just wow! I am, as always, so thankful for your beautiful blog posts and amazing pictures. I feel like I am right there and am so thankful to get to see sights through your eyes that I may never get to see in person! I'm absolutely loving this blog hop and am so grateful to you for organizing this! Oh I LOOOOOVE Mt. Desert Island! My husband and I used to go there every year on vacation in the fall. It's so gorgeous! I think if I'm ever on the east coast in the fall again I'll have to run this race! Your photos are always amazing! Living in Florida now I really miss fall! This race sounds amazing and I may have to try it out next year just to enjoy the fall weather! I love the series idea! Wow, the photos for this marathon are absolutely stunning. I love NE in the fall and this would be a fun relay to do with my sister. I may need to consider this for October of this year, although maybe it is already sold out. Hi there! Sorry to be a day late- yesterday was hectic for me. I love the scenery here! It's gorgeous- I'm a little weird in while others see my beach pics and get jealous, I see mountains and get jealous! I love the fall colors and would definitely love to run here. In fact, I'm currently considering my first marathon and definitely planning it as a racecation so this could be a possibility. I also love your no frills "this is who I am" about me page. I admire people who say exactly who they are and don't fake being someone else! 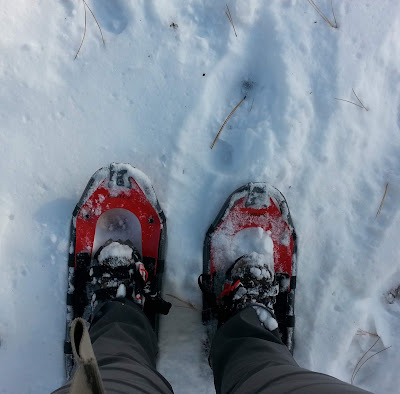 Your adventures seem amazing- I really feel like I only just started doing cool stuff a few years ago. For most of my twenties I lived a pretty boring life lol. I'm terrified of heights so the skydiving thing isn't for me but I do love other methods of adrenaline junkie activities. This is definitely on my bucket list. Even more so now that I've read your review! Your photos are gorgeous! There is nothing I love better than a scenic marathon, and this looks like it might be my running mecca! I love this series and can't wait to see what you have in store for us! This race looks amazing! We're about 10ish hours from Bar Harbor and have been drying to make it there. This sounds like the perfect excuse! This race looks like my kind of race. The running trails where I normally run look a lot like this. I've never traveled far for a race before! I've never been to that part of Wisconsin, if I am ever in the area sounds like I definitely need to look it up!!! Thanks for sharing! Oh you do need to go somewhere fabulous for your 40th birthday! Good luck finding the great race to celebrate it with!!! Maine is a beautiful state, I had no idea until I visited how beautiful, I definitely hope to go back and visit one day, and I'd love it if I could run this again when I do! Oh wow you definitely do live in a gorgeous area! I live visiting out there summer or fall, just gorgeous! Oh if you add it, it's one you will enjoy it was a great race I hope to do it again someday if I can make it out there that time of year again! Oh yes fall drives are the best, I do that every year. Well not in New England, but here in Utah. But when I visit New England area's I just love diving around! Sometimes the smaller races in small towns are the best hidden gems!!! Thank you, I enjoy taking the camera along! Well not in the race, but touring the area before and after! Oh ya if you love travel stop by any Tuesday! Or if you are ever bored visit my Travel tab I have done over 70 different destinations on there already with links to those that might be of interest to some. Thanks for stopping by!!! Oh ya, scenic is definitely a must for almost any race! I've heard Napa and Sonoma are beautiful places to run, I could totally do a race in those area's some day! Oh Cape Cod that will be beautiful! There is actually a marathon there in October that I've had my eye on for years! I love Bar Harbor too, such a pretty little place! It was a pretty race, I purposely didn't drive the course or look at it ahead of time so I could just enjoy seeing it for the first time as I ran. I did see campgrounds on the island, so ya it would be a drive but you could totally RV it!! Actually the drive up the coast might be an amazing RV trip in itself!!! Oh it's such a beautiful race, if you do it guarantee you'll be amazed an so glad you did! I hope to do this one again sometime! Thanks, I hope I can too!!! I love the locations you showcase Kristy. I have not done a full marathon yet, and am dying to get one under my belt. I am distracted these days and need to get back on track with running. I am missing it. That's awesome! If you do come run St. George let me know I'll probably be running it too:) I used to live there so that one has a very special place in my heart, well that and it was my first marathon! I love Bar Harbor too, such a fun little island! Definitely a race to consider if you're ever in the area!!! Thanks! 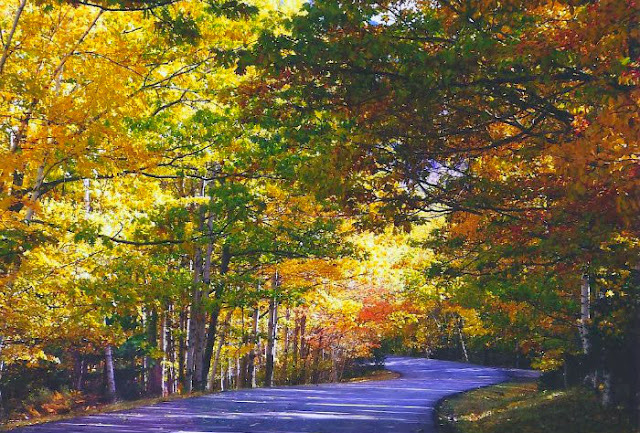 It's such a beautiful area, I am sure year round, but especially in the fall! If you ever do that race, guarantee you will love it! It's a beautiful area for a race, that is for sure! I bet she loved it, it really is a great race! If you ever make it there to run, you will enjoy it. Great race, town and organization!!! Thanks Rachel! It really is a beautiful race destination! Oh that is awesome! Mt. Desert Island is gorgeous, I could visit there every year too if I had the chance!!! Yes, it's a great race, if you are there in the fall you definitely want to run it!!! If you ever travel up that way to run it, guarantee you'll love it. It was the perfect small town race, I hope to do it again someday! No need to be sorry at all, life is hectic! I am only just today getting caught up on responding. Life in the hop is busy, but fun I love it or I wouldn't do them! I am a total mountain girl too, I'd take it over a beach anyday of the week! This is a beautiful area, I did a bit of hiking here too before and after the race. I like people who are just as they say and don't fake who they are online either. I've found it's pretty easy to tell the ones that do. I just love blogs that are more real, take the good with the bad,if that makes sense. Oh you definitely need to just go explore your new adventure junkie side:) This world is so fun of lots of crazy awesome things to do! Looking forward to following that and your running journey! Who knows, maybe one day we will end up at the start of the same race together as we are working on our goals! Oh you will have to take a trip there sometime, and if you like running you couldn't pick a better excuse to take that drive for that race!!! Oh it's a beautiful race, I had no idea Maine looked like this before I got there I was I guess you could say pleasantly surprised. It's a great race too! Thanks, this is a beautiful area! One day I hope you do get one under your belt, it's a fun distance to train for and run! You've had a busy time especially with your son leaving to join the military, I can only imagine how distracted you've been! This looks amazing! I live in New England so it's not that far of a stretch to add it to the list! Wow, that race sounds amazing. I may have to add that one to the list! I no longer live on the east coast, so it would take some doing. But as you say....it's worth traveling for :) Thanks again for the opportunity to participate in the hop. I love it! Oh the colours of the trees, just beautiful. That alone would make me go. That looks like such a beautiful location for a race! I'd love to run a race with amazing scenery. Where I live, we don't get much of a fall. It's a great race, if you end up doing it I think you'll really enjoy it! It definitely is one worth traveling for, I was really impressed with the race and the scenery! If you end up doing it I think you'll love it! Thanks for joining in the hop! It really is a beautiful part of the world to run in! I really found it to be both a great location and great race, if you ever add it to your race list, you'd love it! That scenery is to DIE for! I would just get lost in the views...and then finish the run and want to go back for more! I got my degree in Landscape Architecture and I am always a sucker for beautiful places and what makes them so amazing! I have always wanted to travel to Maine - so this race will need to be in the trip itinerary when I do! This marathon looks amazing! I've never done a race up north (I live in Atlanta) and I'd love to add some to my wish list. This marathon looks awesome! So beautiful especially with the fall colors! What a great location! I'm from NH and my parents have a house in Maine...this is going to have to go on my list! I've never heard of it! !